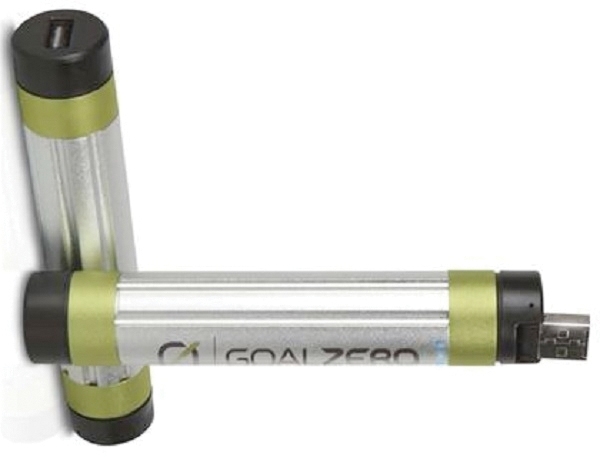 With the Goal Zero® Switch 8 solar charger, you can charge your portable devices anytime, anywhere! This ultra-lightweight rechargeable battery stores easily in your pocket or bag and provides on-demand power for smartphones, tablets, MP3 players and more; interchangeable tips (sold separately) accommodate most devices. Tiny, powerful, and endless for what it power – phone, flashlight, GPS, and tablet. Charge lightweight lithium battery from wall, solar, or car. Power your phone, iPad, GPS and more. Chain multiple rechargers together for more power.